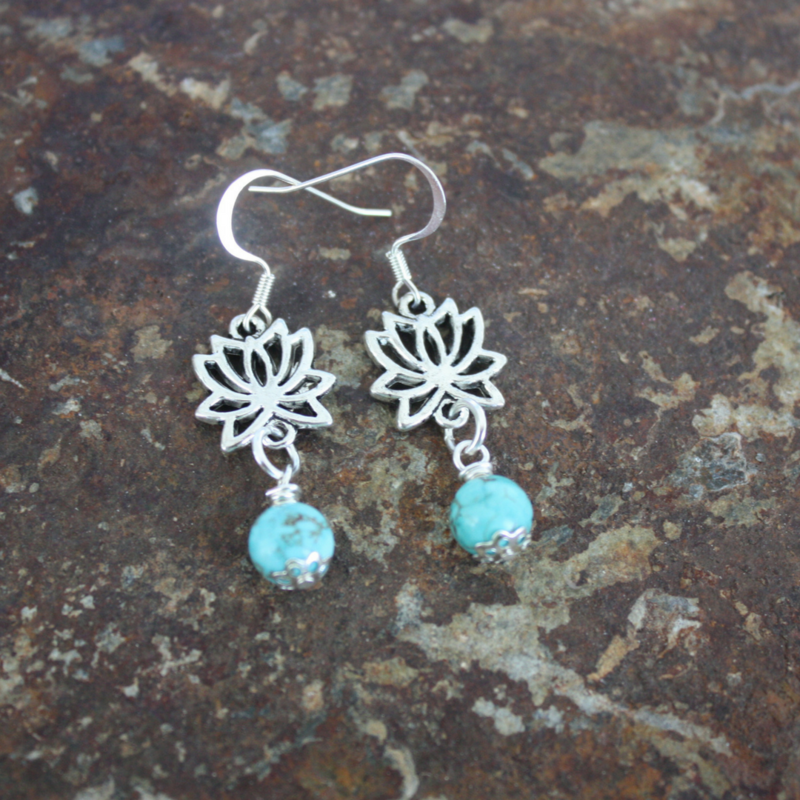 Simple and zen-like lotus flower earrings with turquoise stones. Matches yoga necklaces. 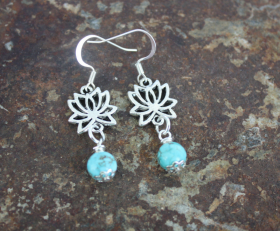 Categories: Earrings, Yoga / Zen Life Earrings, Yoga / Zen Life Jewelry.